Marvel Studios have released an international movie poster for their big screen adaptation of Thor. The new poster has lead actor Chris Hemsworth suited up as Thor with his magical hammer Mjolnir clutched in his right hand. The poster first appeared in France. The new film is directed by Keneth Branagh and is scheduled to hit 2D and 3D theaters on May 6th, 2011. 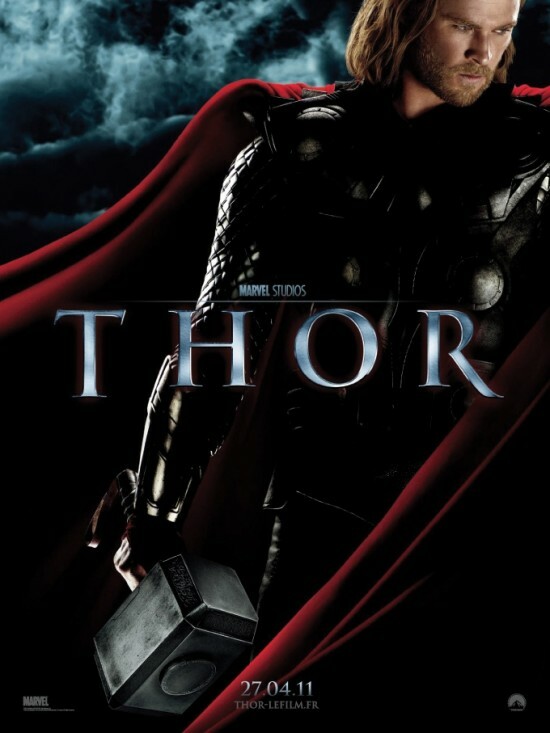 I'm reading: MARVEL RELEASE INTERNATIONAL POSTER FOR [THOR]Tweet this!